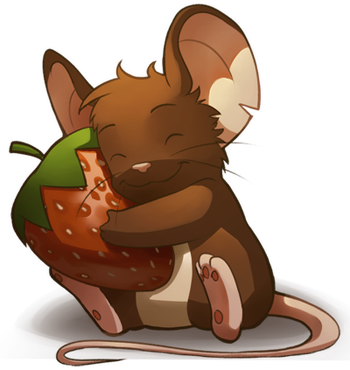 Transformice: Who said mice only like cheese? Who said mice only like cheese? Certainly not us!As we told you, we’ll add micro-paiement into the gamein the near future. I explained how it would work and what you’ll be able to buy with the new currency coming but at that time we had no idea how to name this new money so we weren’t able to give you more information about it.We took some times but we now have its name! You’ll be able to buy some FRAISESwith real money! We’ve also set the exchange rate between real money and game currency. But don’t worry! If you don’t want or can’t spend money, you’ll also be able to buy EVERYTHING with regular cheese! And about the items you’ll be able to buy? Melibellule made a teaser for you! 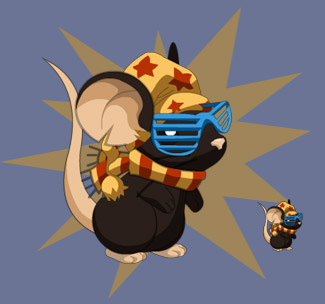 Here is how your mouse could look like with afur color and personalized items. What do you think about this ? Tell us HERE.